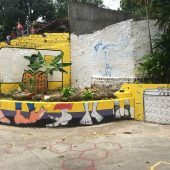 Drawing reference to the seminal design-build program Rural Studio, the MuralStudio workshops ambitiously propose that the same rigorous thought processes and aspirations of a large-scale community design-build project can be applied to the creation of a mural. Despite the limited physical construction involved many fundamental principles of construction can be experienced such as; setting out, levelling, purchasing materials, preparation, use of tools and craft. The workshops conclude with critical reflection exercises and the dissemination of the process and outcomes through photography, text and short videos. 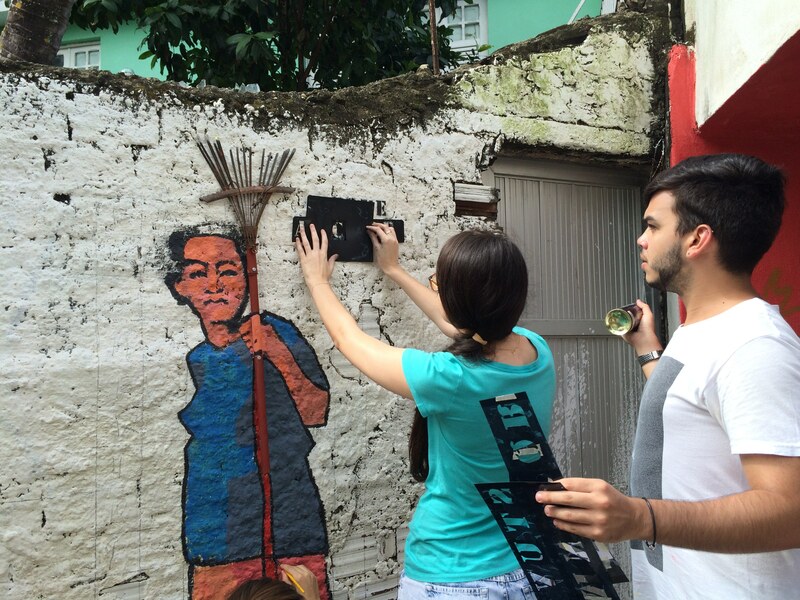 The first series of MuralStudio workshops were carried out over 3 weekends along the Rua Bispo Coutinho de Baixo laneway, a location where previous Ateliervivo urban intervention projects had taken place. An existing understanding of the context and established relationships with the community permitted a fast-tracked design response. 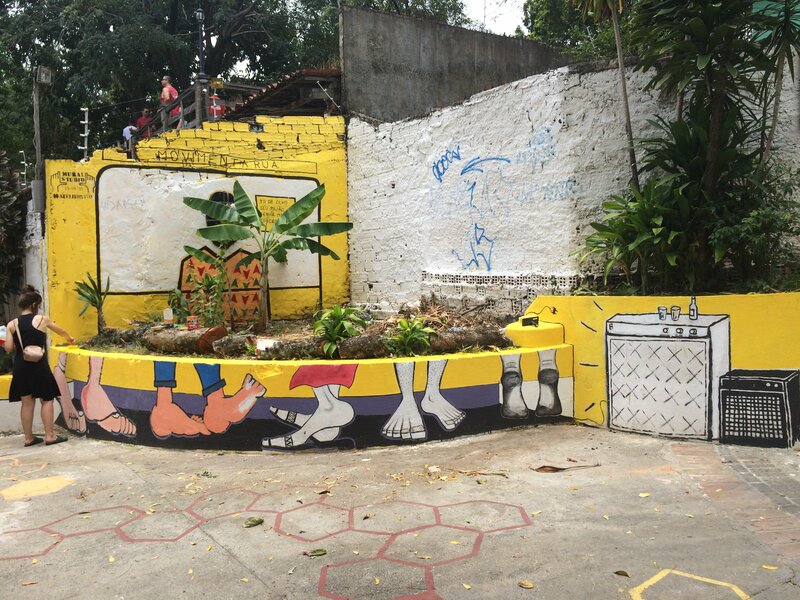 Local residents reinforced the significance of the contribution to local music and culture that had come from particular houses and former residents along the lane which led to a theme of ‘Movimenta Rua or ‘street movement’. 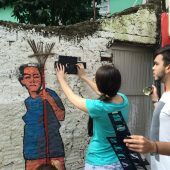 Research Question: How to explore processes, techniques and improvement of public spaces through the collective creation of murals or other graphic responses.